Professor John Gearson is Vice Dean (International) of the Faculty of Social Science and Public Policy at King’s College London where he is Professor of National Security Studies and since 2008 has been Director of the Centre for Defence Studies in the Department of War Studies. He is the convenor of the recently launched MA in National Security Studies at King’s, bringing students and practitioners together to consider this growing policy area. From 2002 to 2007 he was seconded to the House of Commons where he acted as the principal defence policy adviser to the Defence Select Committee and as a Parliamentary Clerk to the Constitutional Affairs Select Committee. While at Parliament he was responsible for inquiries into Defence and Security of the UK, the Iraq War, the New Chapter to the Strategic Defence Review, the 2003 Defence White Paper, and the Freedom of Information Act. After leaving the Houses of Parliament he acted as a senior adviser to the UK Ministry of Defence study into the Military Role in Counter-Terrorism and more recently contributed to background work for the 2010 and 2015 UK Strategic Defence and Security Reviews and the 2017 review of the UK’s counter-terrorism strategy – CONTEST. He has also given oral evidence to inquiries by the House of Commons Defence Select Committee and the Parliamentary Joint Committee on the National Security Strategy. Prior to his time at Parliament, he was Director of the MA in Defence Studies at the Joint Services Command and Staff College at the UK Defence Academy, where he was the subject lead in terrorism and asymmetric warfare. 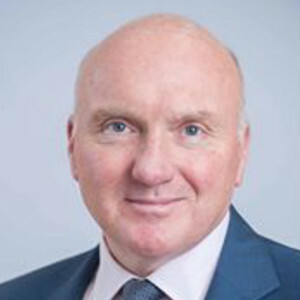 Previously he worked as a management consultant and was a special advisor to the City of London Corporation on the terrorist threat to the City following the Bishopsgate bombing of 1993. At King’s, John completed his MA and PhD degrees in War Studies, the latter as a King’s College Scholar, and he also holds a BSc (Econ) in International Politics with Strategic Studies from University of Wales, Aberystwyth. He was a Research Fellow of the Nuclear History Project and the German Historical Institute, London. He is a member of the editorial board of Studies in Conflict and Terrorism and an Associate Fellow of the International Centre for the Study of Radicalisation (ICSR).